The 2017 21CSC Champion of the Year – National Distinction Award, presented to George McDonald of the National Park Service. Left to Right: two members of The Corps Network Corps Council (Marilee Eckert, Conservation Corps North Bay; Parc Smith, American YouthWorks); George McDonald, National Park Service; Harry Bruell, Conservation Legacy; Mary Ellen Sprenkel, The Corps Network. The success of the 21CSC depends on the support of dedicated individuals from organizations and federal agencies that partner with local 21CSC programs. 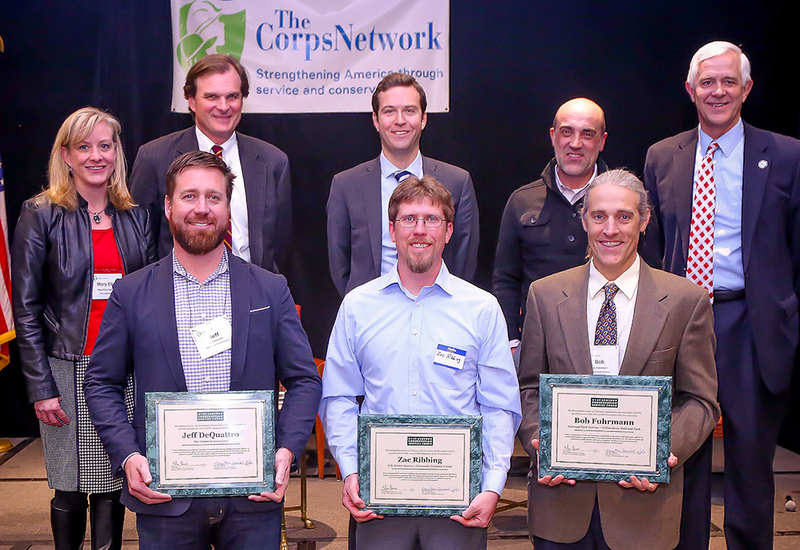 At the annual meeting of the Partnership for the 21st Century Conservation Service Corps (P-21CSC), select individuals are honored as 21CSC Champions of the Year for their efforts to partner with 21CSC programs in engaging the next generation of conservationists. Champions are selected through a nomination process. The Champions of the Year are awarded during the annual meeting of the P-21CSC. The P-21CSC meeting is part of The Corps Network’s National Conference. The 2019 Champions of the Year will be recognized in Washington, DC in February during the annual Partnership for the 21CSC Meeting, part of The Corps Network National Conference. Read about the 21CSC Champion of the Year Finalists for 2019. 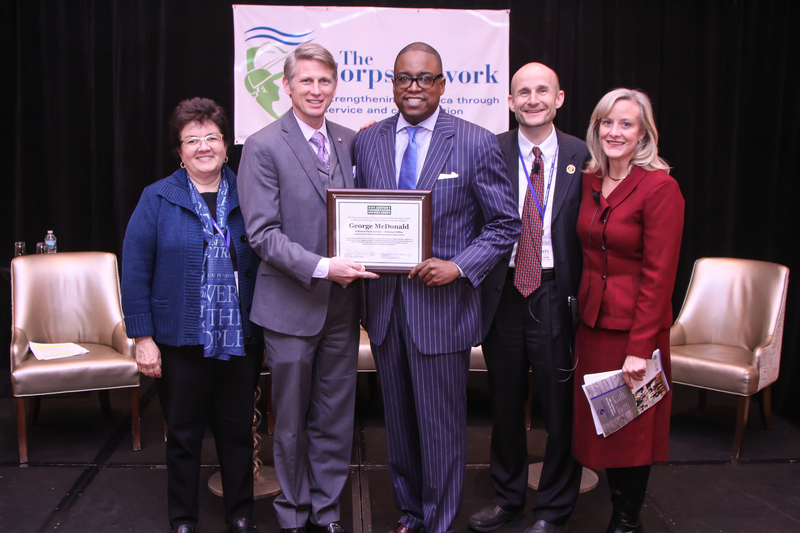 The 2018 Champions of the Year were recognized February 12 in Washington, DC during the annual Partnership for the 21CSC Meeting, part of The Corps Network National Conference. Read about the 21CSC Champion of the Year Finalists for 2018. The 2017 Champions of the Year were recognized at The Corps Network National Conference in February in Washington, DC. Read about the 21CSC Champion of the Year Finalists for 2017. Read about the 21CSC Champion of the Year Finalists for 2016.